Well, today’s post clearly shows what a perfectionist I am NOT. Since I moved to my new home, my unmentionables have been living in a box in the top of my closet because I decided that I didn’t want to take up space in my bedroom with a dresser. It clearly wasn’t a well thought out plan but I am slowly getting things organized. I found this super cute basket at the Salvation Army and thought it was a good basket for my socks and undies. Since I don’t want my things snagging in the basket I decided to line it. I wish I had taken before pics of this project but I just wasn’t thinking that far ahead. The lining is an old linen blend curtain (also from the Salvation Army). 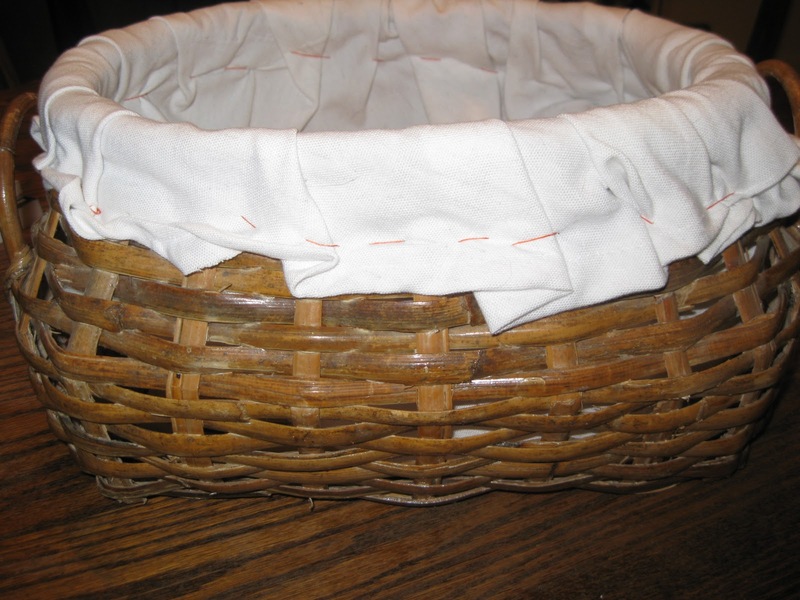 I put it into the basket, tucked the fabric all the way in and then cut the fabric around the basket allowing some length to hem. I machine hemmed the fabric then put it back into the basket. 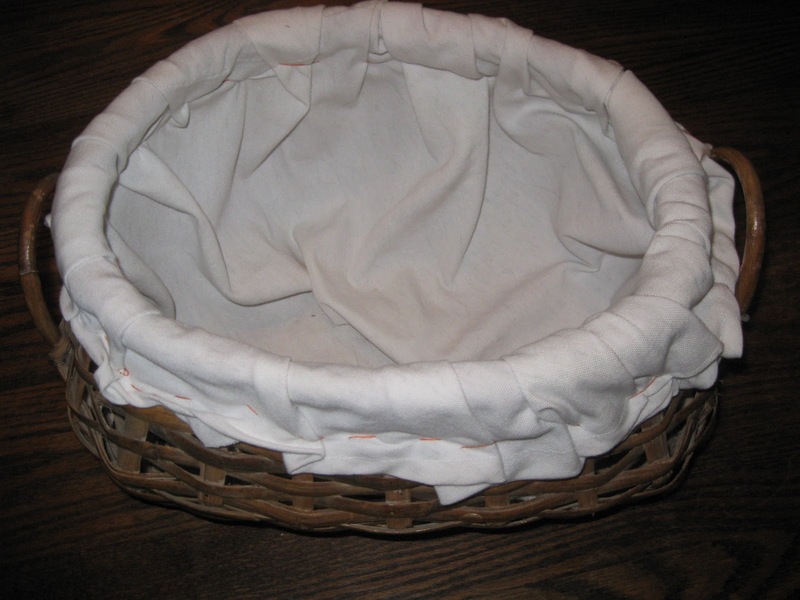 After some tucking and arranging to make sure it was all even I hand sewed the fabric to the basket. I decided to use the contrasting orange thread to give it a little personality. Here is the hard part – getting the needle through the basket weave was much harder than I thought it would be! So much for my vision of cute, little, evenly spaced orange stiches. So, I did what I could to make sure the liner was attached to the basket. I like how it turned out. Something only a mother could love….. Here is what I should have done in the first place!